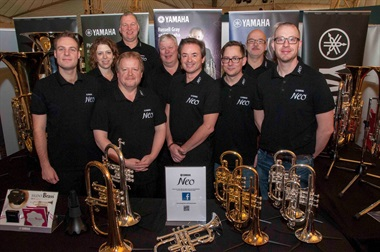 A group of eight internationally-endorsed performing artists, led by acclaimed long-standing Yamaha cornert artist Russell Gray. Based all around Europe, the star-studded brass and percussion Yamaha NEO Ensemble come together to perform a range of repertoire from Debussy to Piazolla. For their appearance at Perth Festival of the Arts, the players will be joined by brass students from local secondary schools for part of the programme. This follows two days of workshops and recitals in local schools, as part of the Festival's youth outreach activity.